It’s the most wonderful time of year, folks. A whole slew of wonderful, beautiful overpowered sedans will line up to kick off a 621-mile party around Australia’s notoriously difficult Mount Panorama Circuit. That’s right—the Bathurst 1000 is kicking off tonight, and we’re here to tell you how to watch it. Bathurst is one of those races that drivers aspire to race. If you raced cars growing up in New Zealand or Australia, you would have toyed with the idea of standing on top of the infamous mountain. It’s one of those finicky circuits where just about anything can happen. There’s not much runoff, and the walls are unforgiving. The weather can be an absolute disaster. Drivers who haven’t raced in the Supercars series are entering, and mistakes are everywhere. And, yeah, sometimes there are kangaroos. The painful thing about Supercars is that it’s still not aired on television in America—an eternally frustrating deal, because the racing is so freakin’ great. I can’t wax poetic enough about this delightful series. So, if you’re anywhere but Australia and New Zealand, you’re not going to be able to throw on Foxtel or Sky Sports and watch the whole race. For those of us in the rest of the world who would like to watch the race legally, we’ll have to tune into Superview. 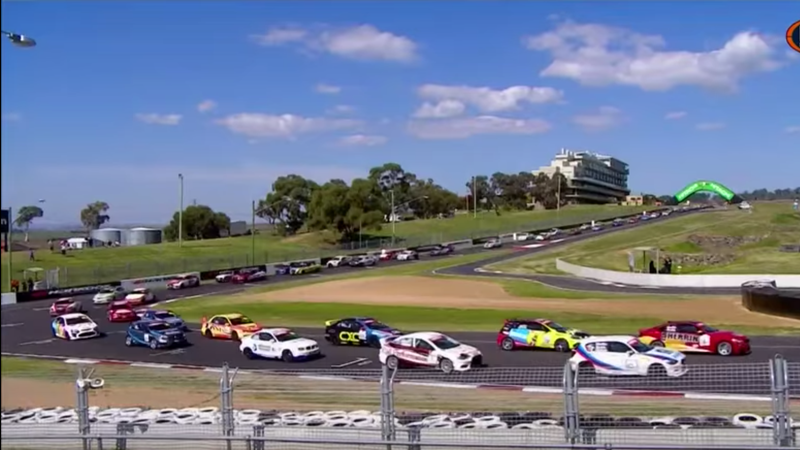 Supercars knows us good folks out there want quality racing, which is why they offer every race with DVR-style rewind and full replays of each race and championship session. It’s going to cost you a handsome $59.95AUD (that’s $42.29 for those of us in the States, not counting the bank fees for an international transaction). Honestly, if you’re going to tune into plenty of Supercars events, it’s a real good investment. It’s a relatively commercial-free stream, so your race car experience will not be interrupted by capitalism like it is when you’re trying to watch the Daytona 24. If you’re not going to watch anything other than this race, well… there are plenty of slightly less legal streams hiding out on the internet. You folks have the Google—you know what to do. Whatever means you have to watch Bathurst, make sure you employ ‘em. The race is kicking off at 8pm EDT tonight, and it looks like it’s going to be a spicy one.